Cinemark. 2700 screens in 13 countries in North and South America. 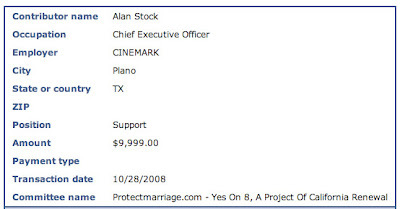 It’s CEO, Alan Stock, gave $9,999 to the anti-gay bigots running Prop 8 in California. Time to avoid this cinema like the plague.